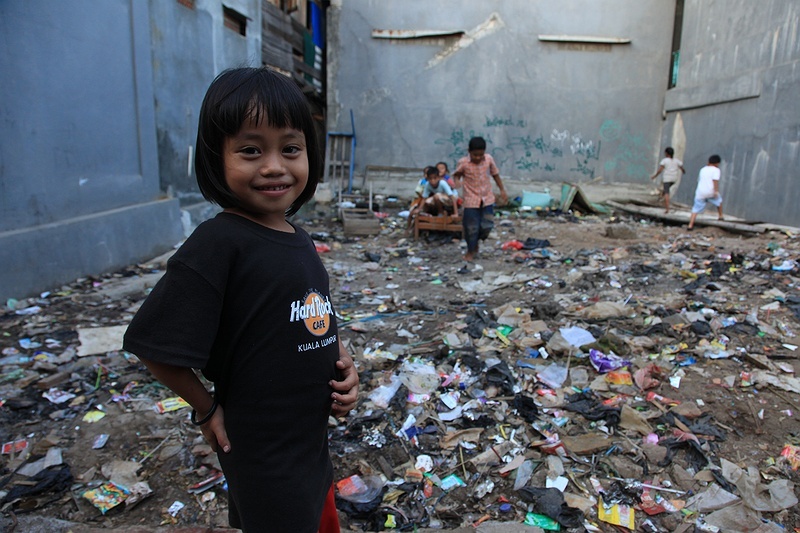 Children play in rubbish outside there home in a slum in north Jakarta. The UN Human Settlements Program estimates that 26 percent of Indonesia’s urban population live in slums. Greater Jakarta housing some 5 million alone.